Trade Secretary Miguel Braun talks about Brazil and the local economy, just a week before Brazilians go to the polls to choose their next president. As its main trade partner, Brazil plays a key role in shaping Argentina’s economy, especially in terms of automobile trade. That’s why the upcoming Brazilian election – and the still unpredictable political scenario that will emerge in its wake – is so important. Is the relationship between the two nations set to change? 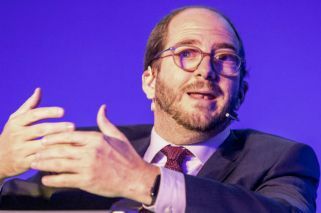 In an interview with the Times, Argentina’s Trade Secretary Miguel Braun said he hopes to maintain and improve the current bilateral agenda with Brazil, no matter who wins the vote. The government official said the end of the year would deliver an improved trade balance, especially in light of the recent devaluation, and said the door was still open for the signing of a potential trade deal between the Mercosur bloc and the European Union. How do you assess the current trade relationship with Brazil? It’s highly important for Argentina. Brazil is our main trading partner and it’s where we sell most of our production and from where we obtain the goods our industry needs. The Mercosur bloc allow us to export a lot of added value. Since President Macri took office, we have move forward with the bilateral relationship. We relaunched the Trade and Production Bilateral Commission and signed tax deals. At the Mercosur level, we approved new protocols and set up a new procedure to elaborate and review technical regulations. We also reactivated the foreign agenda, updating the deal with Colombia and relaunching the negotiation with the European Union. There are pending things and an important agenda forward. Are you expecting an improvement on the trade balance between both countries this year, considering the peso’s devaluation? 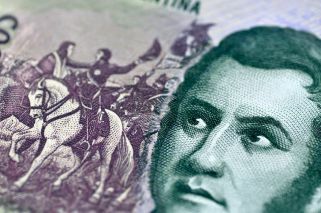 It’s likely that the trade balance with Brazil will improve until the last months of the year, due to the exchange rate and the improvement of the Brazilian economy compared to last year. The important thing is for trade to grow and for us to export more and better. We are already seeing that: in the first seven months of the year our exports to Brazil rose 21 percent compared to the same period last year. Meanwhile, imports from Brazil increased six percent, so the balance for Argentina improved. This accelerated in June and July and we imagine the trend will continue until the end of the year. What do you expect for the bilateral relationship given the upcoming elections? The relationship is central for both countries. It has a long and deep history and we hope to continue working with the new administration on a positive way, no matter its political colours. There’s an important work agenda in facilitating trade, improving the Mercosur bloc and foreign relations of the bloc that won’t have substantial changes. What’s the current status of the negotiations between Mercosur and the European Union over a trade deal? From a technical point of view there have been important steps forward. The negotiations are close to an end, but there are still issues to work on. Time will tell if the elections can alter the possibility of sealing the deal. We hope all that has been done will help to sign the agreement. In the meantime, the Mercosur bloc moves ahead. We started negotiations with Canada and the European Free Trade Association, launched negotiations with South Korea and approached the Pacific Alliance. Argentina currently has trade deals with just a small portion of the global GDP and that leaves our firms and workers outside many markets. We have to continue working on this, as increasing exports means more jobs and opportunities.